Rockin' Robin Productions, 9780989940412, 190pp. Christopher Briscoe takes his readers on a once-in-a-lifetime bicycle journey through the heart of 1970s America. 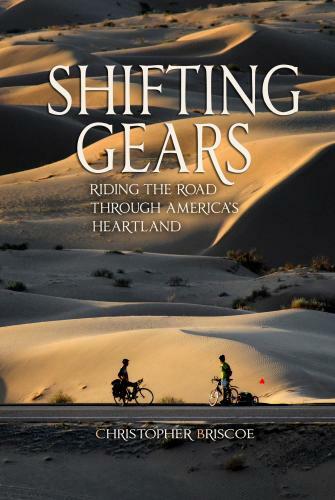 Shifting Gears is as sharp-eyed, intuitive, and captivating as Cheryl Strayed's Wild. Christopher Briscoe brings his talent as an author and photojournalist to the forefront in his books. There is an intimacy in Briscoe’s work that takes us inside hearts that brim with passion. Briscoe's photographs have been published around the world in numerous publications such as The London Times, People Magazine, Time Magazine, and Paris Match. His work has also been featured on Entertainment Tonight, Larry King Live, and Oprah. Chris's work is driven to uncover the common thread that binds us all; from a visit to Death Row, to Bourbon Street, and through the alleys of Bangkok. Briscoe always digs deeper to unveil the story behind each face.